Jersey is the most southerly of the Channel Islands, situated in the English Channel approximately 17 miles from the coast of France and 100 miles from the south coast of England. Measuring 9 x 5 miles, Jersey is the largest of the Channel Islands and boasts 15 miles of beautiful sandy beaches as well as some breathtaking coastal walks along the cliffs to the North of the island. Courtesy of the Gulf stream, Jersey enjoys a milder climate than the UK mainland and is the sunniest place in Britain. The population of Jersey is currently estimated to be around 105,000 although this increases considerably during the summer months when the island is bustling with tourists. 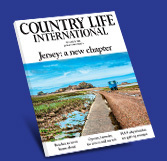 The island offers a vibrant business environment, but residents still manage to enjoy a great work-life balance – it is possible in Jersey to have a dynamic “city” job without the downsides of commuting or living in the city. Jersey offers a very safe environment and a good quality of life.